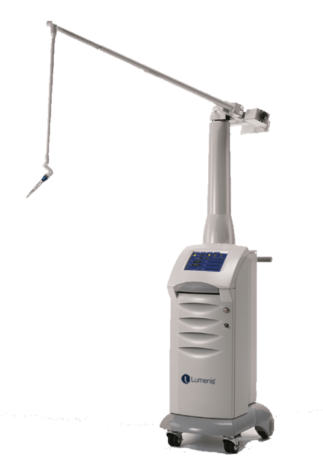 When it comes to maximal precision and high-end performance, UltraPulse CO₂ laser is the ultimate solution. For decades the UltraPulse® technology is considered as the gold standard when it comes to ultra-precise laser-tissue interaction. UltraPulse ST is an advanced computer controlled, user-friendly CO₂ pulsed laser platform. It is based on patented CO₂ laser tube providing up to 60 watts of power. It can generate a continuous series of short-period, high-peak-power pulses. During the high peak power, the laser energy is delivered very rapidly, resulting in vaporization of the targeted tissue without the creation of collateral injury. The Lasing modes (UltraPulse and Continuous Wave) can be alternated according to the desired tissue interaction while the three exposure modes (Repeat, Single & Constant) will allow comprehensive timed-controlled energy delivery. UltraPulse laser systems are for institutions and settings which demand highest performance for the most delicate surgeries. Replicated tissue interaction, customized to patient anatomy and the shape of the targeted tissue.